You probably know many IT companies from US, Japan, Singapore, Hong Kong... What about IT company from Norway? Yes, that's us. You may also know many IT companies operate in multiple industries, from manufacturing to e-commerce. But what about a company whose product mainly focus on insurance system? Yes, that's us again. Contemi was founded in 2001 in Norway and UK, by successful insurance entrepreneurs who wanted to commercialize the systems and expertise they had used to be successful themselves. Contemi now has offices in Norway, UK, Singapore and Vietnam. We pride ourselves with having Deep Insurance Expertise and being able to deliver Scandinavian Quality at Asian Cost. - Competitive gross salary. Salary review every year. - 13th month bonus + additional performance bonus. - Your contributions to social insurance, medical insurance, unemployment insurance and your income tax covered. The social insurance contribution is calculated based on your real income (the above salary) and the social insurance law. - 15 days of annual leave and 10 days of paid sick leave per year. - Health check every year. Additional health insurance which could cover most of your medical needs. 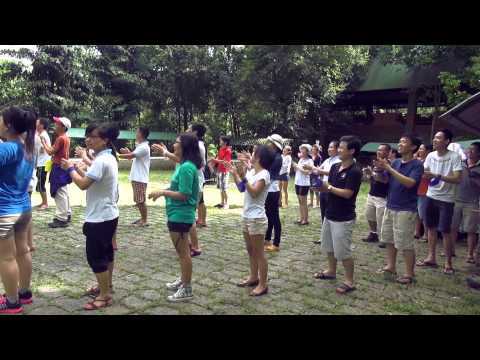 - Team building trips twice a year and small events at least once every month. - Sports and recreations: Football, English, Yoga, and Table Football. Follow Contemi Vietnam to get updates about new jobs.